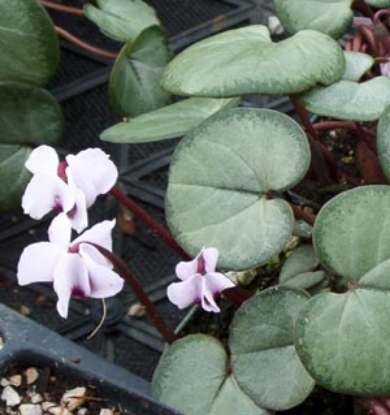 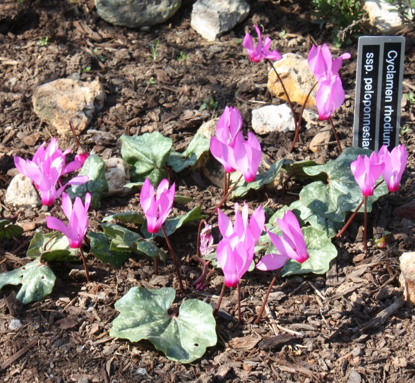 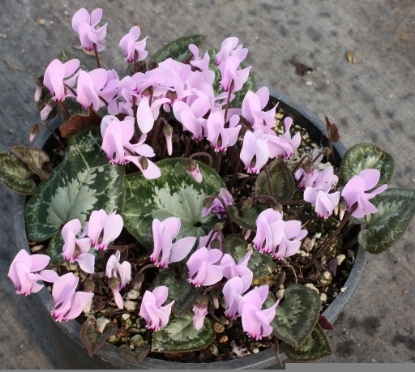 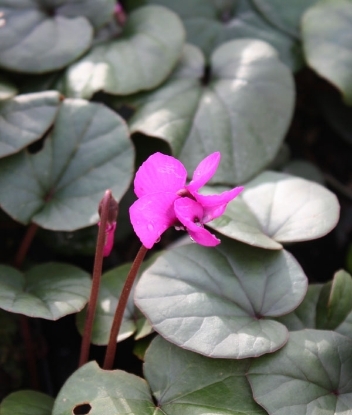 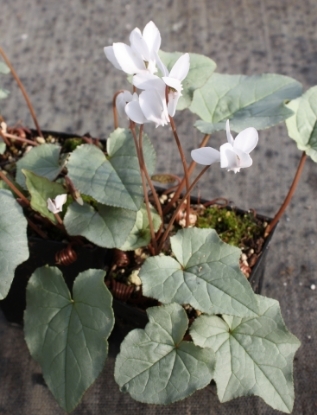 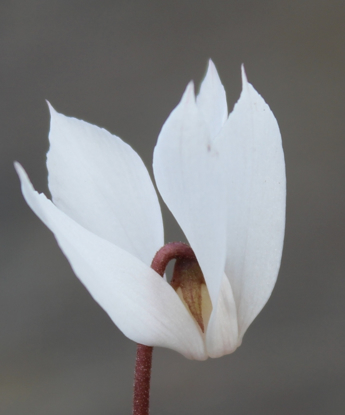 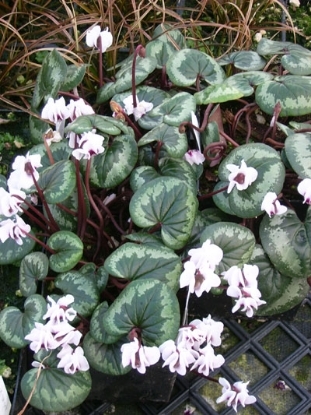 CYCLAMEN Extremely rewarding and showy group of tuberous plants with nodding flowers and reflexed petals. 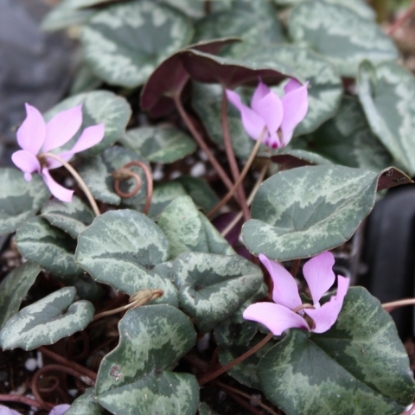 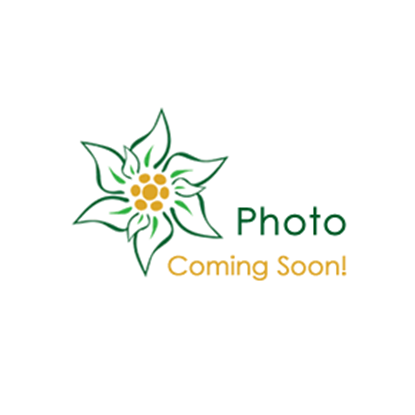 While the shiny, often patterned leaves emerge in fall, the flowers appear as early as January for C. coum and August for C.hederifolium. 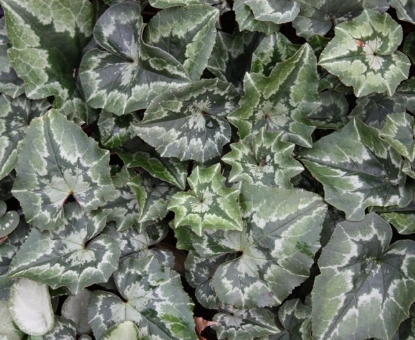 The leaves will stay into June and then disappear for a summer "nap". 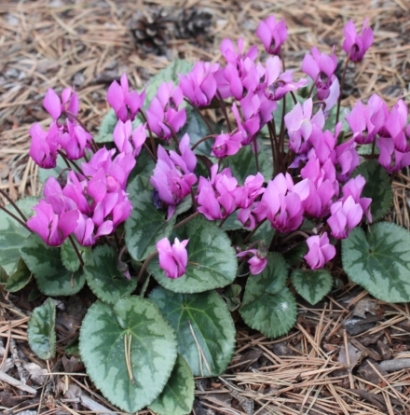 Both species like a humus-rich, well drained soil in light to full shade and are one of the few plants that grow under fir trees. 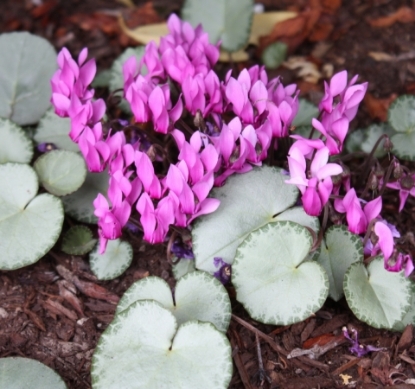 Avoid excessive summer moisture. 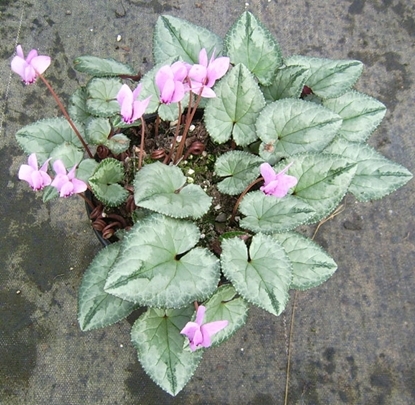 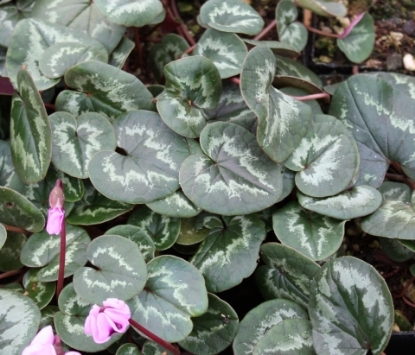 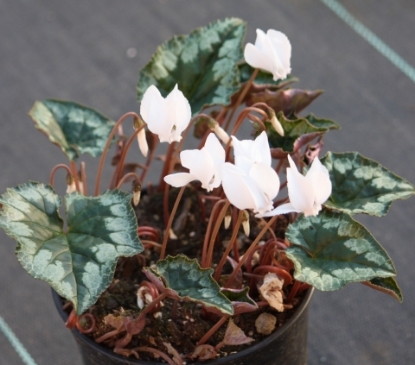 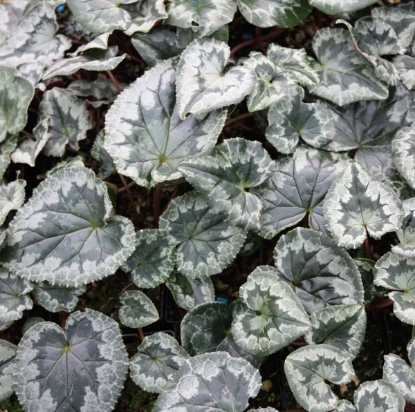 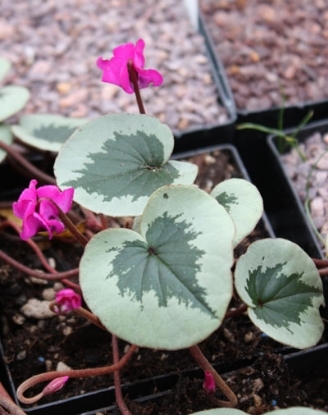 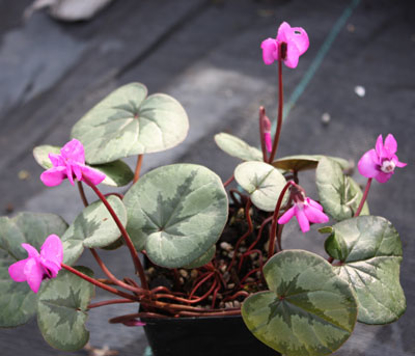 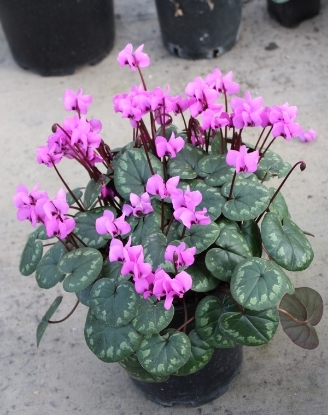 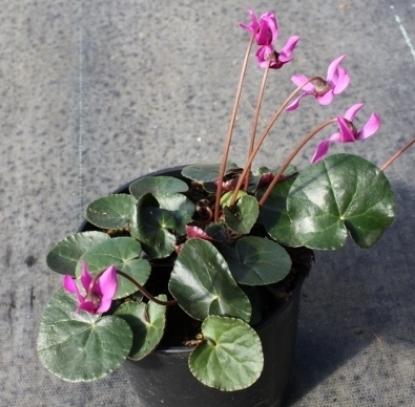 Most of our Cyclamen are grow in 2 3/8" square - 3 3/4" deep pots, unless indicated otherwise.